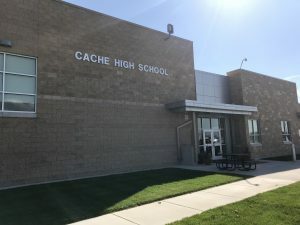 The completion of Cache High, located just south of Bridgerland Technical College on 600 West, marks the completion of Cache County School District’s historic bond and building frenzy. A ribbon cutting and reunion is scheduled for Saturday at 5 p.m. to celebrate its completion. The new school also marks a new beginning for students who struggle to fit into the traditional high school model. Public Information Officer for the Cache County School District Tim Smith says the new Cache High now has more out-of-classroom seating, 10 classrooms, half of a gym which can be used for recreation and Physical Education, sinks in the art room, a lunchroom and a green house. Principal Sheri Hansen says the additions are nice, but the teachers and faculty make the high school a special place. “No matter what facility you’re in, it takes amazing teachers,” she explains. “Cache High is unique in that they have teachers that, regardless of the facility have always been creating, always caring, always working with kids. The school proudly boasts of a 92% graduation rate, and Hansen attributes that success to her teachers. And anyone who has ever attended the school is invited to attend a special high school reunion which will take place along with the ribbon cutting for the new building. The ribbon cutting and open house is Saturday, September 8 starting at 5 p.m. It’s a start of an annual tradition, the first Saturday after Labor Day, and the reunion is for all teachers and faculty who ever attended or worked at the school. Hansen also wants to clear up any misconceptions about who attends the school. She says there are approximately 115 students currently enrolled and they are described as “any student who is behind in credits or any student who doesn’t maybe fit the mold. I think we’re finding, in education, that there are quite a few students that feel like they no longer fit that traditional system, it’s not what these new students are used to. Hansen says the smaller student population allows the schools to address educational needs in a more flexible, and sometimes more adventurous manner. She adds that students who attend are not there because of behavior issues, it’s about being deficient in credits. The new facility for the alternative high school also houses adult education programs. Smith says the Cache and Logan school districts have combined their efforts in the new building. 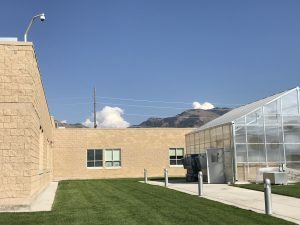 Smith says the building is also used for distance education, where classroom discussions are broadcast over the Utah Education Network to students who may be detained in juvenile facilities or group homes so they can continue their education. Its proximity to Bridgerland Technical College also provides convenience and flexibility for student classes. While Cache High was the last of the buildings to be built with the recent bond money, Smith says there are already pain points occurring in the district with growth in Cache Valley. He says population growth in Hyrum, North Logan and Smithfield are creating challenges for the district. The site of the former Cache High is currently for sale. Smith says there are some interested buyers, but no contracts have been signed yet. I never would have graduated if this school didn’t pick me up and help me get my education together. It truly helped me and I will always have a deep respect for the staff there. So cool that they finally got a better building. I now work for a holographic photonics company as one of the top holographers. Thank you Cache High.